Nunez Community College is accredited by the Commission on Colleges of the Southern Association of Colleges and Schools to award associate degrees, certificates, and diplomas. Contact the Commission on Colleges at 1866 Southern Lane, Decatur, Georgia 30033-4097 or call 404-679-4500 for questions about the accreditation of Nunez Community College. 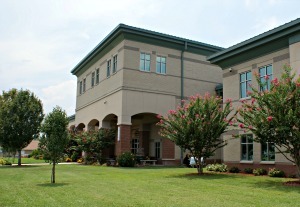 The College's physical address is 3710 Paris Rd. in Chalmette, LA. This is the main Nunez campus where most classes are held. Welding/HVAC/Electrical classes are held at 4508 Paris Rd. This is a temporary facility that the College has while a new technology wing is being designed and built. Take a left onto Paris Road. Go about a half mile and turn left onto Access St. Turn right, the Welding/HVAC/Electrical building will be on your left hand side. If you are on Paris Road and pass Fradella’s Collision Center (on your right) or The St. Bernard Sheriff’s office (on your left) you have passed the location. Make a U-Turn and take a right onto Access St., make another right and the Nunez Building will be on your left hand side. Elaine P. Nunez Community College is a unique institution of higher learning that has an equally unique history. The College bears the name of the late wife of the Honorable Samuel B. Nunez, Jr., President of the Louisiana State Senate from 1982-1988 and 1990-1996. In recognition of Mrs. Nunez's support of public education, the 1992 Louisiana State Legislature passed Act 341, which established Elaine P. Nunez Community College. The Act merged Elaine P. Nunez Technical Institute and St. Bernard Parish Community College to form a comprehensive community college, offering both vocational and technical programs and arts and sciences programs. The new College was placed under the management of the Board of Trustees or State Colleges and Universities, effective July 1, 1992, and Dr. James A. Caillier, the president of the Board of Trustees, acted as the College's first president. 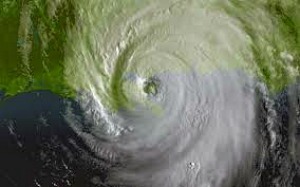 True to its heritage, Elaine P. Nunez Community College experienced a unique beginning when Hurricane Andrew struck the New Orleans area on the day registration for classes was scheduled to begin. With strong support from the local community, the College was able to open three days later. In the spring of 1993, Elaine P. Nunez Community College was accredited by the Commission on Colleges of the Southern Association of Colleges and Schools (1866 Southern Lane, Decatur, Georgia 30033-4097: telephone number 404-679-4501) to award Associate Degrees and Certificates. This accreditation was reaffirmed for ten years in 1997. On July 1, 1999, the management of the College, along with five other community colleges, was transferred to Board of Supervisors for the Louisiana Community and Technical College System. At the same time, the title of the Colleges chief executive officer was changed from president to chancellor. On August 29, 2005, Nunez Community College and its entire service area was struck by Hurricane Katrina. The Hurricane and subsequent flooding became the greatest natural disaster in U.S. history. St. Bernard Parish, was almost completely decimated as it took a direct hit and suffered flood waters that in many areas did not recede for weeks. The first floor of every building on the Chalmette campus was flooded more than seven feet. Despite dire predictions, the College presented a fall mini-semester within weeks of the disaster. Nunez enrolled students in on-line classes, in classes at Slidell High School, and other locations. By the end of December, the Facilities Department, along with volunteer crews, had gutted the first floors of the buildings and restored electricity, water, and sewer hook ups in the Arts, Sciences, & Technology Building. The College became an oasis in the ravaged parish and a catalyst for business and industry revitalization. Nunez opened the campus for business in January of 2006 and resumed classes immediately.